Hughes Hubbard Chair Candace Beinecke won "Lawyer of the Year" for outstanding contribution to private practice at the inaugural Chambers USA "Women in Law Awards" on Feb. 2. Beinecke was selected to be the first to receive the award at the inaugural ceremony honoring female stars of the legal industry. Accepting the award in front of more than 200 guests at The Plaza Hotel in New York City, Beinecke said, "Partners before me get credit for thinking out of the box and striving to find talent wherever it existed long before anyone measured or applauded diversity and, in fact, at a time when some affirmatively did not. I’m just one of the lucky beneficiaries." "I am very touched by the award despite the fact that it belongs to those who bucked the trend and gave me opportunities," she added. The ceremony offers the most comprehensive national awards for women lawyers across the nation and is supported by America’s leading corporate counsel, according to Chambers. Beinecke, elected in 1999 as the first female chair of a major Wall Street law firm, has long been recognized as one of the top law firm leaders in the country. 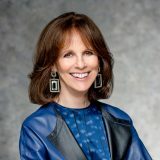 She is very active in the corporate governance arena and provides guidance as a director or board member of several prestigious organizations, including ALSTOM (Paris), Vornado Realty Trust (NYSE), Rockefeller Financial Services, Inc. and Rockefeller & Co., Inc.
Beinecke also serves on the boards of The Metropolitan Museum of Art and The Wallace Foundation and is a director and vice chair of the Partnership for New York City, a network of business leaders dedicated to enhancing the local economy and maintaining the city’s stature.